You are here: Home / Adams hammers Emery & Arsenal: I don’t know what he’s been doing for six weeks! 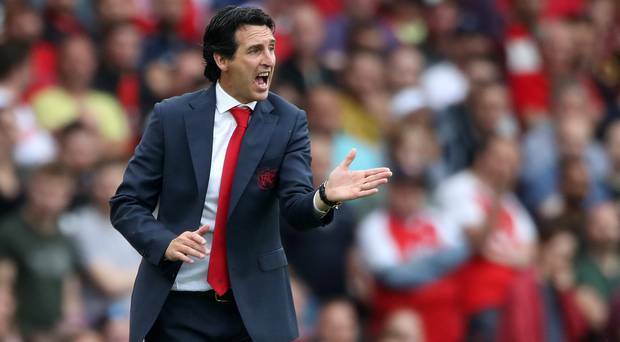 Unai Emery has been blasted for making little impact at Arsenal since taking over from Arsene Wenger, with Tony Adams questioning what the Spaniard has been doing in pre-season. After parting with their former long-serving coach, the Gunners turned to the ex-Sevilla and Paris Saint-Germain boss for inspiration. Emery was given no transfer warchest with which to reshape his squad, but was expected to make Arsenal more competitive after two seasons outside of the top four. An opening day clash with reigning Premier League champions Manchester City was always going to be a baptism of fire, but Adams feels there were no signs of progress under the new regime. The former Gunners captain told talkSPORT on the back of the 2-0 defeat at Emirates Stadium: “It was the same kind of performance. I was a little bit deflated and disappointed. “For the last 10 years now – [we’ve been] leaking goals, soft away from home. “I wanted him to put his new goalkeeper [Bernd Leno] in, work with his back four, have two screening central-midfield players, and keep a clean sheet. “It was crying out for it. But I didn’t see that. I thought he got a lot of selections wrong. Things are not about to get any easier for Arsenal, with a trip to Chelsea next up on Saturday, and Adams has seen nothing to suggest that Emery can force the club back into title contention.